I finally finished the March quilt for the Haven Circle of do. Good Stitches this weekend, but it's been so gloomy I put off taking pictures. Today was not much brighter, but I want to get this in the mail this morning! 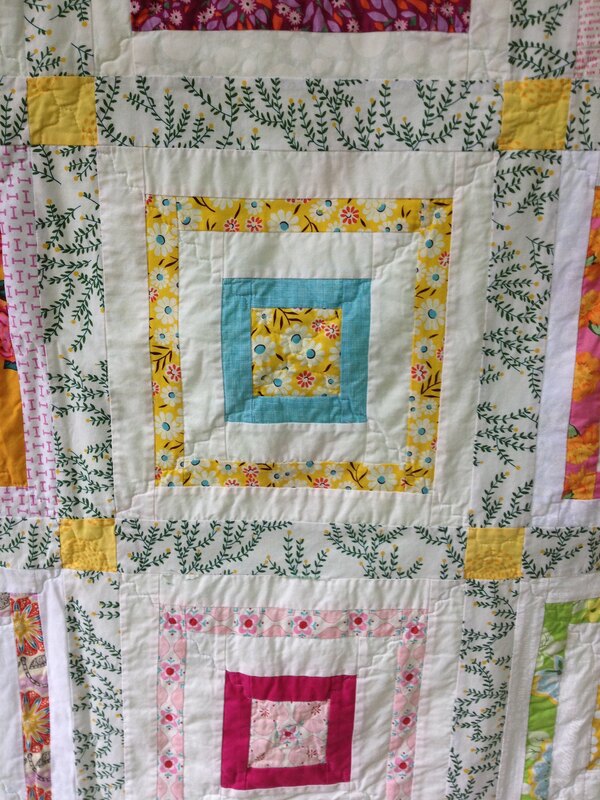 My beemates made blocks with floral centers following this tutorial in springy, bright colors. I worried about the cohesiveness when I had the blocks together and also about the size. 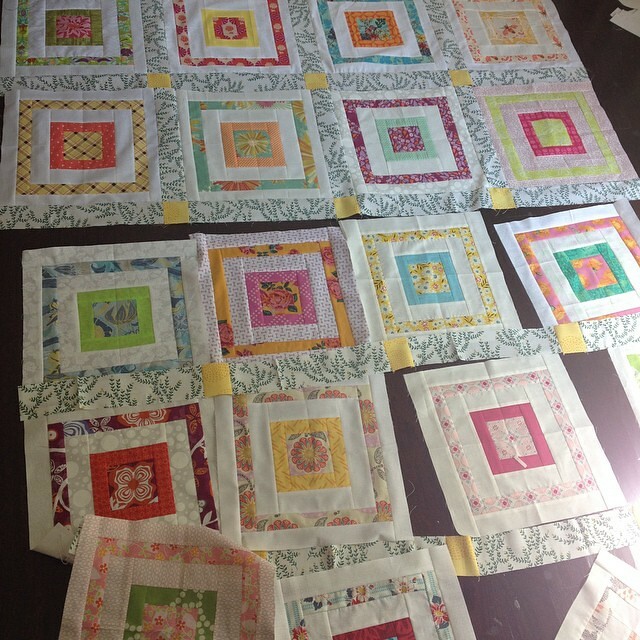 I hemmed and hawed over borders and finally decided on sashing and cornerstones. I thought the Lizzy House catnip print was just enough contrast to the low volume to be seen without being overbearing. I had already planned to bind it in yellow and luckily I had enough extra for the cornerstones. The cornerstones are 2.5" squares and the sashing strips are 2.5 x 12.5." 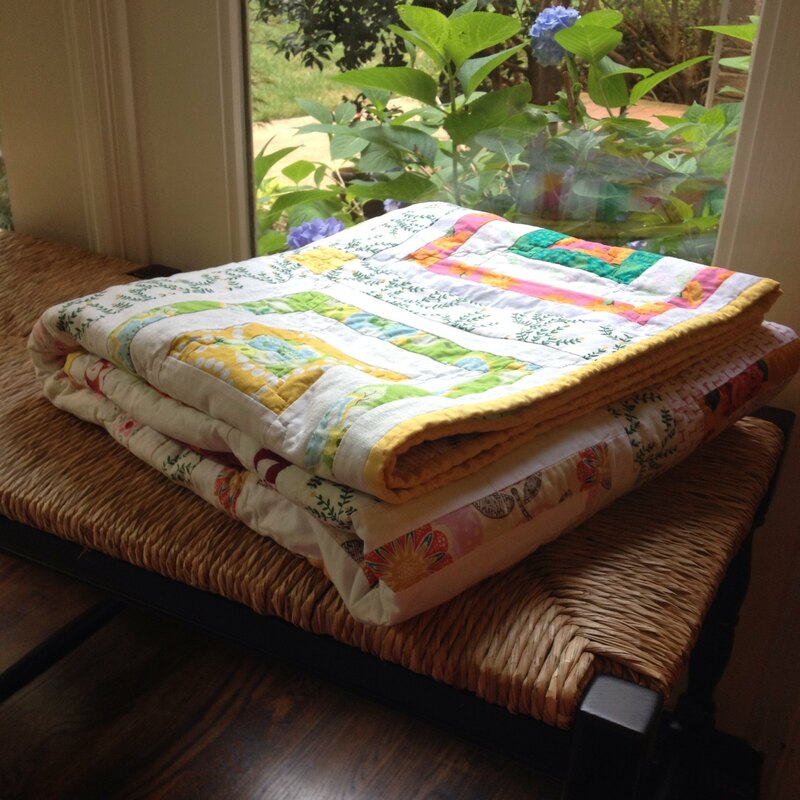 I quilted this one pretty simply with a curvy stitch on the diagonals. 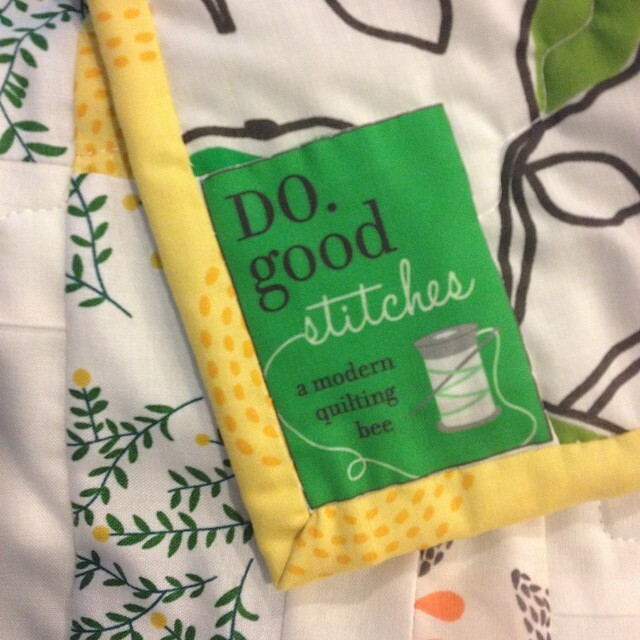 I used the eco green batting from Quilter's Dream again and it is just such a cozy feel with light quilting. This one will be mailed to our charity in Austin, TX later today. Thanks to all my hivemates for the wonderful blocks! Good for you! Especially as a mom of three taking time to do such a good work. 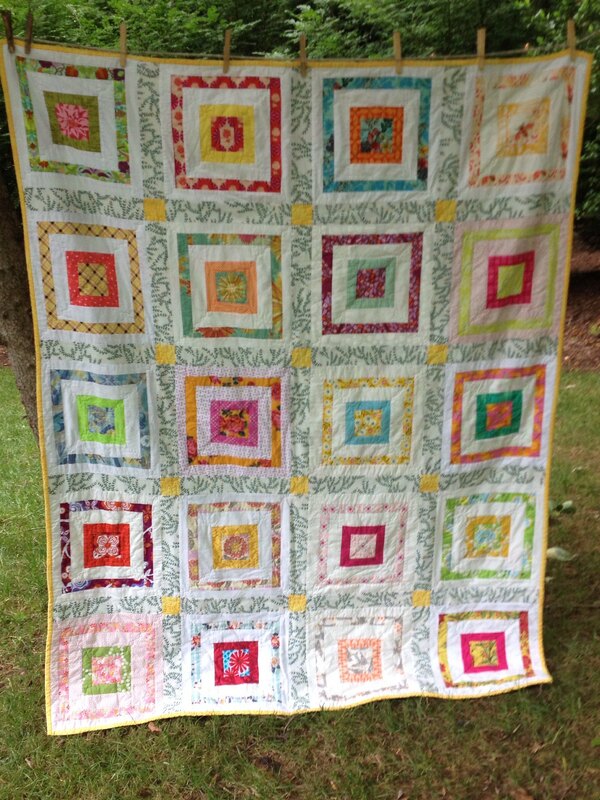 And the sashing, cornerstones and binding work perfectly for this quilt! Wow, I looooove the catnip ! Brilliant. And such a pretty finish overall. Thanks for the inspiration!